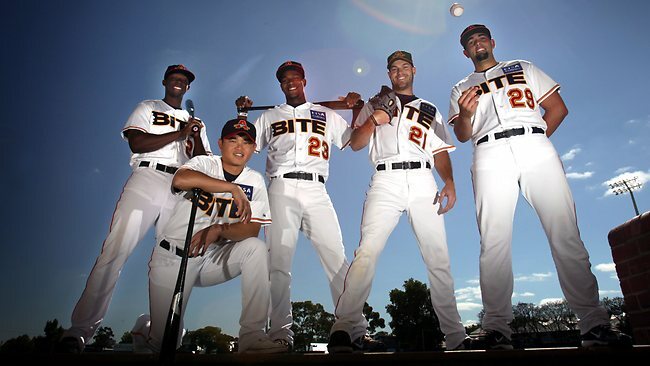 At Coopers Stadium against the visiting Canberra Cavalry this past weekend, it was all about Chin-lung Hu–leadoff hitter and shortstop for the Adelaide Bite in the Australian Baseball League (ABL). Although there may have been a sour taste left in the mouths of Bite fans following Sunday’s 9-5 loss, one could not forget Hu’s team best 3-for-5 performance–including two runs batted in and one run scored. Never mind that Chin-lung Hu had been instrumental in the Bite’s victories the two prior nights against Canberra. Whether it be Saturday’s two-run triple in the bottom of the second inning which set up a 3-2 victory or Friday’s defensive excellence turning a pivotal double play late in the game with runners on the corners to stop the Calvary’s charge and seal up the win for Adelaide, Chin-lung Hu is now the ABL’s renaissance man. Other than co-sharing his claim to fame for having MLB’s shortest last name in baseball history, Chin-lung Hu is best known (or rather unknown) as a bench player. Baseball fans today still ask the burning question: “Who is Hu?” Being in the shadow of 2011 MLB National League Batting Champion Mets shortstop Jose Reyes or playing back up to former Dodger and shortstop for the 2011 MLB World Series Champion St. Louis Cardinals Rafael Furcal did not help his cause either. Chin-lung Hu appeared to always be at the wrong place at the wrong time and never got the time of day in the major leagues. The Taiwanese-born Hu began his career in the Dodgers minor leagues in 2003 as a member of the Advance Rookie minor league Ogden Raptors. In 2004, he played for both the defunct Columbus Catfish and the Vero Beach Dodgers (now the Devil Rays). He remained in Vero Beach for the 2005 season and later moved on to the Jacksonville Suns in the Double-A Southern League. Things appeared to be progressing for Hu as the international baseball circle limelight shined on Hu for a brief period while a member of Chinese Taipei national team in the 2006 World Baseball Classic. Upon his return to America, he was promoted to the Triple-A Las Vegas 51’s and then later made his 2007 Major League Debut in a Los Angeles Dodgers uniform. Hu continued his elusive ways by playing hide-and-seek for another three years of multiple visits between Albuquerque with the Triple-A Isotopes and LA’s Chavez Ravine. 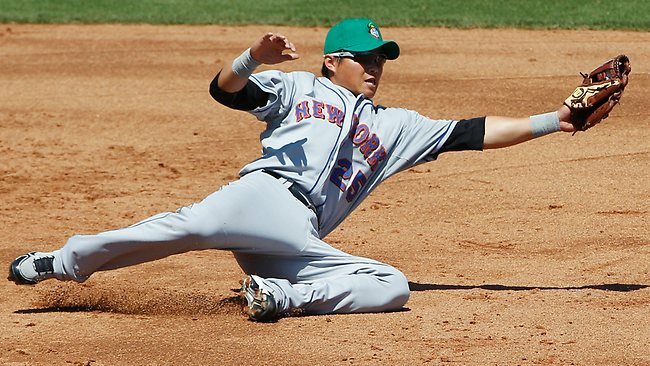 Following the conclusion of the 2010 Dodgers season, Hu was traded to the New York Mets.